Besides Diamonds, my beloved country Botswana prides itself with Tourism, one of the largest contributor to our economy. Most of the tourist areas are located in the northern part of the country with the main Safari regions being The Okavango Delta and Chobe National Park. 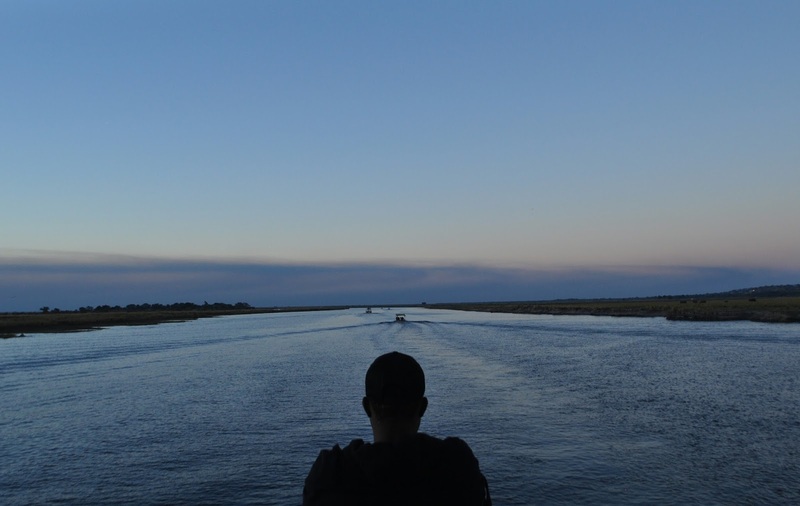 Chobe National Park is located in a small town called Kasane, a gem for Botswana tourism. Kasane is filled with so many activities such as boat cruises, game drives, catching the best sunset silos ever, short trips to the neighbouring countries, Zimbabwe, Zambia and Namibia, the borders to these countries are a few kilometres away from the town, just to mention a few. Kasane being a small touristy town, as soon as you enter the town it rains lodges, guest houses and hotels everywhere along the main road, I guess there is never a shortage of accommodation. I have been to Kasane many times hence calling it my 3rd home, I have family there and this time around I didn’t get to do as much touristy stuff like I used to do but rather spent time with them. What’s better than having a small intimate picnic by the river bank and catching the best sunsets ever? We had our picnic by the Chobe River Bank in a small area called Letswaing (the locals call it that) A cool chilled out place to relax where hot water surface from the ground and one can be lucky to catch a few animals drinking water around that area. I also decided to go on a Safari, seeing the wildlife is always breathtaking. I obviously went on a Boat Cruise rather than on a safari car because I wanted to catch the best sunset silos. Of late I have been a sucker for sunsets, like I’m literally obsessed. The cruise takes approximately 3 hours, every hotel, lodge and private companies offer these tours and prices range from P100 to P300 (or even higher) for the locals and foreigners it starts from around USD25 depending on the companies you use. On the cruise, you get to experience the amazing view, enjoy flora & fauna closer to you and the cool breeze. One of the coolest if not, recent development that I fell in love with in the town was a small PUB called the Mandela Pub, that place gets packed on Thursdays because of Karaoke Nights. Arrive on a Thursday, drop by for a fun-filled Thursday Night. A few crafts around the town are also available to take back home as souvenirs. A lot of people there are gifted when it comes to crafts. Travel Kasane and get to enjoy Safari in Botswana. I always leave Kasane more than satisfied. Your photos area always awesome. Thanks for sharing another part of the world on your blog. Nature beauty really do made my day when looking at your photo sharing. how beautiful.. I do hope I can get a chance to visit Botswana one fine day.. Although it is not under my travel list, but the scenes do catch my eyes,seriously. Thanks for sharing! I remember the two trips I made there..the second one was quite scary was almost attacked by a charging elephant. I'd love to visit the place again after 14years..